Another beverage brand taps into nostalgia. We recently told you about Clearly Canadian’s crowdsourcing campaign poised to return the 90’s staple to store shelves. Now, the latest beverage company to consider cashing in on nostalgia is PepsiCo, which has responded to a fan’s viral campaign to bring back his beloved Crystal Pepsi. 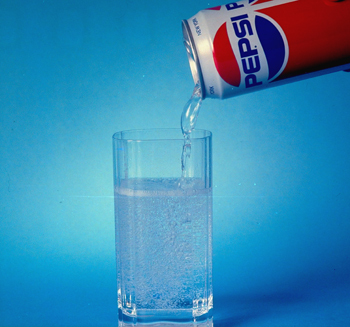 The competitive eater and self-identified “YouTube Entertainer” known as LA Beast kick-started a social media initiative urging his followers and fellow lovers of currently-extinct Crystal Pepsi to petition the beverage giant into bringing back the once-trendy clear cola. Good move, PepsiCo; by tapping into the buzz at its peak, the brand is now at the center of the top trending story on Facebook, and has countless fans waiting on baited breath for what will surely be another big announcement: the confirmation of Crystal Pepsi’s return. Soon, the contents of our summer coolers may look exactly as they did when we were kids, proving once and for all that if these brands were successfully marketed to us when we were wide-eyed youths, they can be marketed to us all over again by simply conjuring the memory of said youth. In fact, we, the nostalgia-drunk customers, are doing the hard work for them by creating the campaigns ourselves and begging for the re-launch of our childhood staples, leaving corporations in the enviable position of granting us the privilege of giving them our money. Yet, I can hardly complain; I’ve been known to watch Girl Meets World while wearing a Fraggle Rock t-shirt and indulging in a bag of Shark Bites fruit snacks. Nostalgia is my God, too.